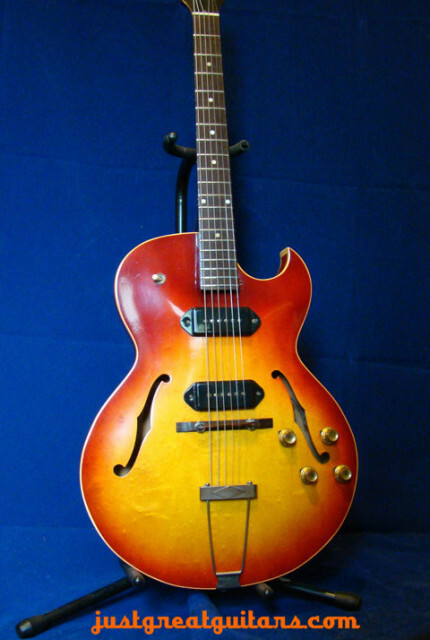 This guitar, from the first year of production is model ES-125TCD, which Gibson renamed to TDC the following year. Twin pickup 125s are by far the most desirable. This one is in really clean condition. 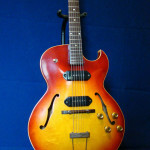 This two pickup model offers up everything from warm mellow jazz tones to some seriously ‘biting’ rock/slide tones depending on your sonic desires of course. 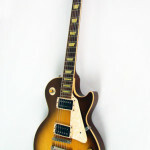 George Thorogood certainly knows his guitars and this is his preferred model of guitar. 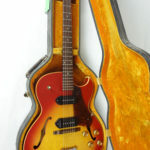 Gibson ES-125 TCD/TDC – This guitar, from the first year of production is a model ES-125TCD, which Gibson renamed to TDC the following year. Twin pickup 125s are by far the most desirable. 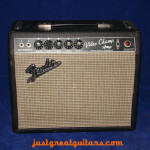 This one is in really clean condition. 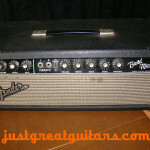 This two pickup model offers up everything from warm mellow jazz tones to some seriously ‘biting’ rock/slide tones depending on your sonic desires of course. 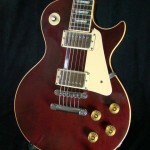 George Thorogood certainly knows his guitars and this is his preferred model of guitar. 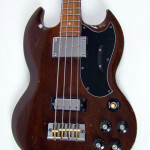 It has a very comfortable and easy playing neck that fits your hand like a favourite glove. Incidentally, the 1961 neck profile is highly desirable amongst Gibson players due to its wide and flat fingerboard which is extremely comfortable to play, hence its popularity with amongst others, Jimmy Page. 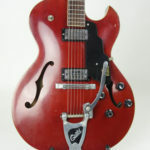 Our 1961 ES-330 has this very same neck profile. 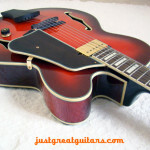 You can also run your fingers easily right up to the highest frets thanks to the well crafted Florentine cutaway. You have complete tonal control over both pickups thanks to the two independent tone and volume controls for each pickup and the choice of three pickup combinations via the three-way pickup selector triples your options. Complete tonal versatility is undoubtedly this guitar’s forte. 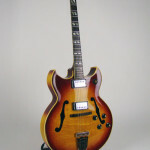 The guitar is in very good condition with only some minor cosmetic marks in the finish and has minimal fret wear throughout the length of the neck, making it a real pleasure to play regardless of your playing style. 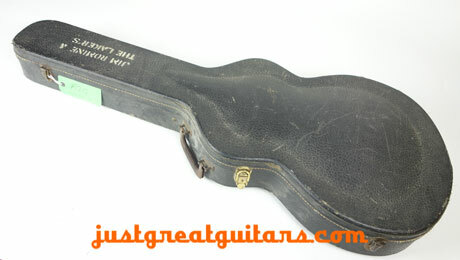 The pick guard was removed by the previous owner and stored in the case. It appears to be original. 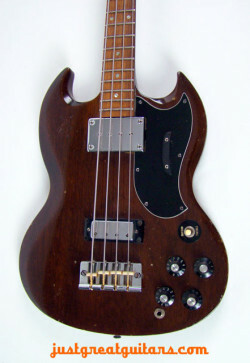 It has an adjustable rosewood bridge that appears to be later than the original. 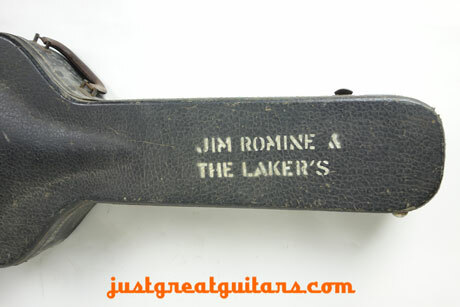 The original Gibson Lifton hard case has the name of the band stenciled-on it (Jim Romine & the Lakers) and you can’t get any more rock’n’roll than that!